We'll soon be releasing a couple new tabs in Account Settings. ...plus a few other things. 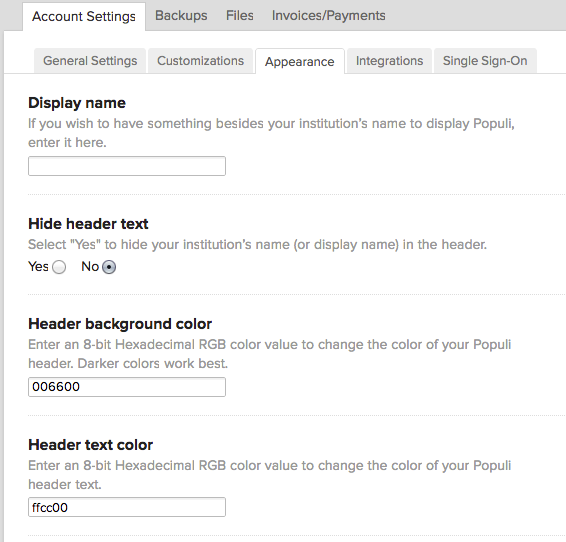 The new Appearance tab gives you a few more options for personalizing your Populi header. The new tabs organize some of the big-picture Populi settings right in one spot. We hope this makes our Account Admins' workdays just a little bit easier!